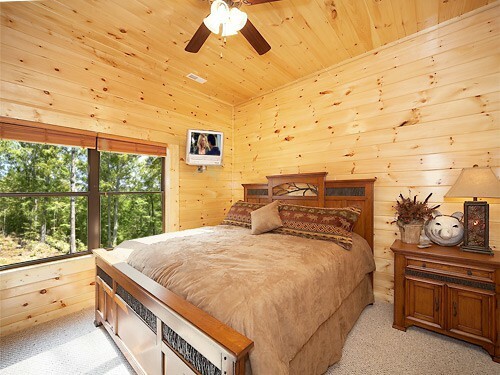 It is all about comfort and style in the south and the Southern Comfort cabin aims to please. 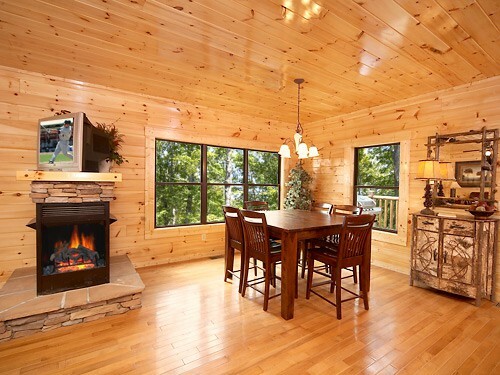 A tastefully decorated cabin that will make you feel welcome and at ease. 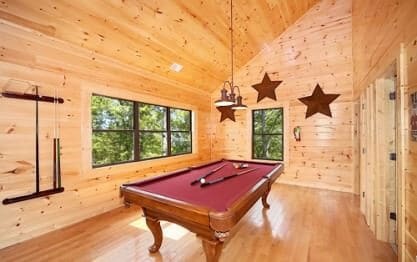 Theres also plenty of "play" items including air hockey, home theater with 9 foot screen and a hot tub! Enter with no steps directly into the main living area with 3 way fireplace separating the living room and dining room. Spread out on the leather furniture in this open floor plan or move to the fully stocked kitchen with upgraded cherry cabinets. There is plenty of seating at the high back dining table or at the breakfast bar for your group. A common guest comment is feeling very comfortable congregating with friends and family on this stylish main level. There is also a half bath on the main floor for your convenience. The upper level is complete with our signature high definition theater projector to enjoy a movie on your private 9 foot theater screen. 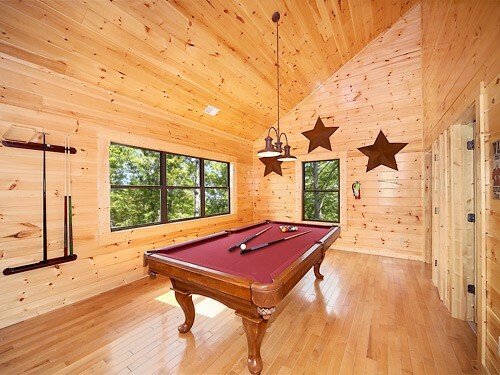 Play a game of pool or air hockey in the upstairs game room or make your way to deck and slip into a warm, jetted hot tub while taking in the views. 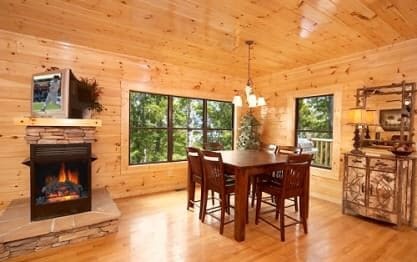 If you are a group of children and adults, this cabin offers a divide and conquer solution to how and where to spend your time. Our guess is that the kids will head upstairs to the theater and game room if you're looking for some quiet time or privacy. 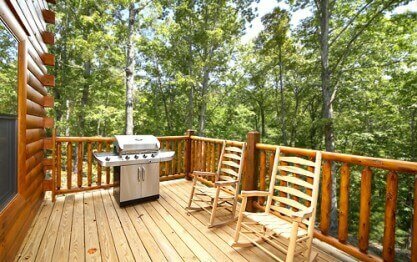 There is a stainless steel gas grill on the back deck to fire up some delicious meals and you can relax in the rocking chairs while outside! 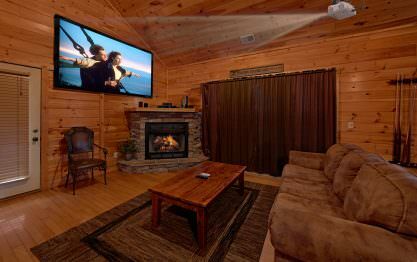 Free Wireless internet is standard with all our cabins so bring your laptop. Southern Comfort features 4 bedrooms and 3.5 baths. 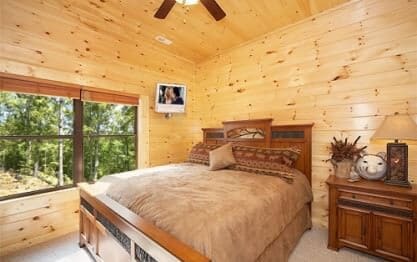 There is a King bedroom and a full bath on the upper level, and the lower level has a King bed and bath master suite plus 1 King bedroom and 1 Queen over Queen bunk bedroom with a shared full bathroom. 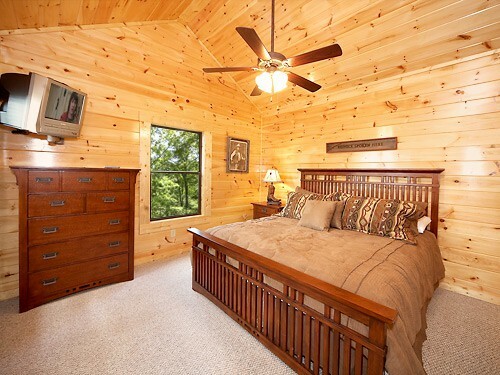 Privacy, luxury, convenience and true southern style comfort abound here. This cabin does allow pets. My stay was amazing, the location was perfect. The property was extremely clean and well taken care of. We will be back next year. Thank you for your kind review, Travais! We are excited to hear your stay was exceptional. We enjoyed having you as our guest and would consider it an honor for you to stay with us again in the future. Remember, as a repeat visitor you will save 10% on future stays. Thank you! We had a fantastic stay in southern comfort! Everything was beautiful, clean, and more than what we expected! Thank you for your wonderful 5 Star review, Sarah! We are happy to hear we exceeded your expectations. We enjoyed having you as our guest and hope you will consider staying with us again in the future. Remember, as a repeat visitor you will save 10% on future stays. Thank you! 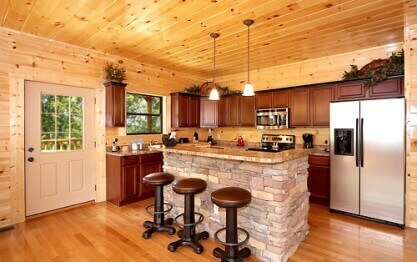 The Cabin was clean and had a very open floor plan! It was perfect to hold a little get together after my wedding! Thank you for allowing us to be a part of such a special celebration, Lance! Congratulations! We enjoyed having you as our guest and hope you will consider making Elk Springs Resort a part of your anniversary plans for many years to come! on the pictures . Pots and pans everything we needed to cook our meals I loved the place and I will most definitely be back !!! We appreciate your business and your 5-star review, Jazzmine! We certainly agree. 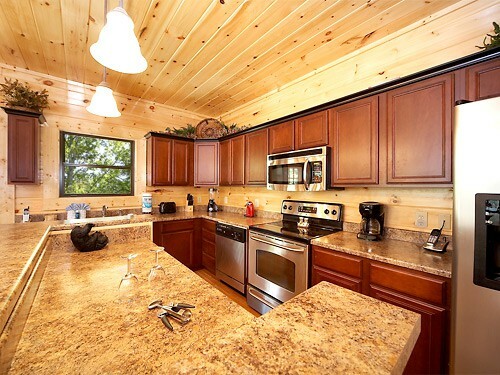 Southern Comfort is truly a spectacular cabin and it is fully equipped with everything our guests will need. We strive to be the best in the business, and it is delightful that we not only met but exceeded your expectations. It would be our pleasure to serve you again in the future. Please keep in mind, as repeat visitors you will receive 10% off your next booking. Hope to see you soon! We all enjoyed being in Gatlinburg and staying at southern comfort. In total we were 6 adults and 2 young children. the accommodations worked very well for our family. we look forward to staying again in the future. Thank you for your fantastic review, Becky! 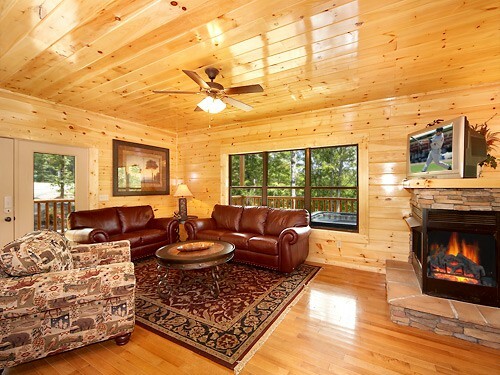 Southern Comfort is an exceptional cabin with top-notch amenities to enjoy throughout your stay. We look forward to your next visit and don't forget to mention that you are a returning customer to receive 10% off your next booking. Hurry back, new memories are waiting to be made! Very nice, relaxing time with family. Thank you for allowing us to be a part of such a memorable occasion, Paul! We are delighted to hear you and your family enjoyed your stay. We hope you will consider staying with us again in the future. We had an awesome vacation and the cabin was top knotch. No human interaction, they send you a code and check out was a matter of just closing the door. We Wil definitely be back!! Thank you for your wonderful 5-star review, Stephen! It is great to hear that you enjoyed your recent visit to Southern Comfort. We certainly enjoyed having you as our guest, and we hope you will choose to visit us again on your next trip to Gatlinburg! it was great the cabin was beautiful and my family enjoyed every bit. Thank you for your kind review, Courtney! We are happy to hear you and your family enjoyed your stay. We hope you will consider staying with us again in the future. 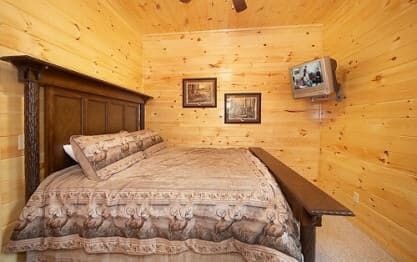 I stayed in the Souther Comfort Cabin and it was a fantastic stay! The cabin was very clean, perfectly functional, and perfectly accommodating. I had 11 people in our cabin and there was plenty of roo…m for everyone. Staff was very nice, and called after my first night to make sure my friends and I were all doing fine. If I ever find another good deal, I will probably be back! Thank you for your fantastic 5-star review, Benjamin! It is spectacular to hear you enjoyed your recent cabin stay. 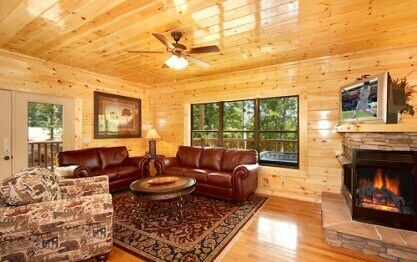 Southern Comfort is definitely a great cabin to relax and take in the beautiful mountain surroundings. We hope you will make plans to visit us again very soon. Please keep in mind, as repeat visitors you will enjoy 10% off all future bookings. Hurry back, new memories are waiting to be made! Decide to visit the mountains what a Great experience we had, the cabin we very clean the stay was very pleasan…t a great atmosphere we just loved it!!! We will be back very soon to visit !!! Thank you for you kind review, Tenisa! We are happy to hear you and your family enjoyed your stay. 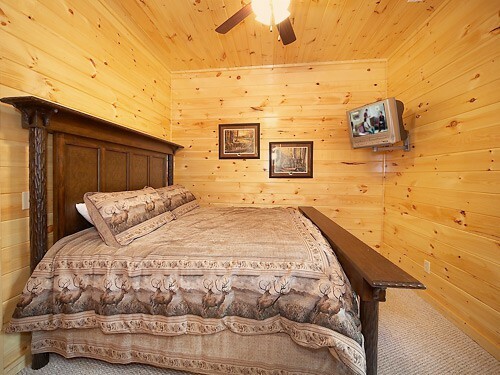 We hope you will consider staying with us again during your next visit to Gatlinburg. "Great Cabin getaway with friends"
This is the second time I?ve stayed at this particular cabin with friends and both times was amazing. 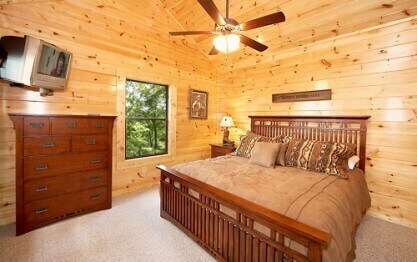 Very clean and beautiful cabin as well as scenery. Management was timely, professional and courteo…us which also made for a smooth check in. Will definitely be back! Thank you for your loyalty to Elk Springs, Ryan. We are delighted that you and your friends had such a great time at Southern Comfort. 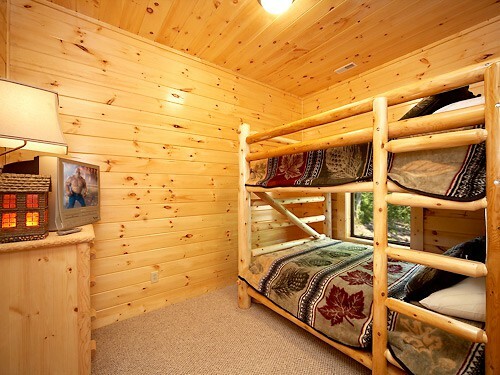 We take pride in our cabins and cleanliness is at the top of our list. We are glad to hear we have lived up to that expectation. We look forward to your next visit and don't forget to mention that you are returning to receive 10% off your next booking! It was a great experience. Beautiful location. Thank you for your wonderful review, Ivan. We are delighted that you enjoyed your recent cabin stay! We hope you will make plans to visit us again during your next trip to The Great Smoky Mountains. Please keep in mind, as repeat customers you will enjoy 10% off all future bookings! 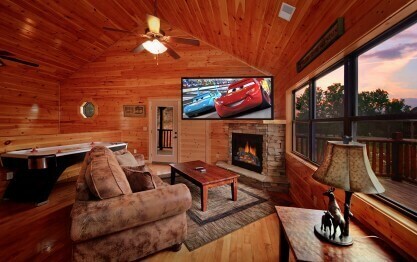 The cabin was as pictured. We had 12 people, all adults. We never felt cramped or in each other?s way. Check in was simple, they just texted me the door code. No wait, no line, no interaction necessar…y. The price was a great value and I would highly recommend the cabin. Thank you for your wonderful review, Christopher. We are pleased that you enjoyed your recent stay at Southern Comfort. 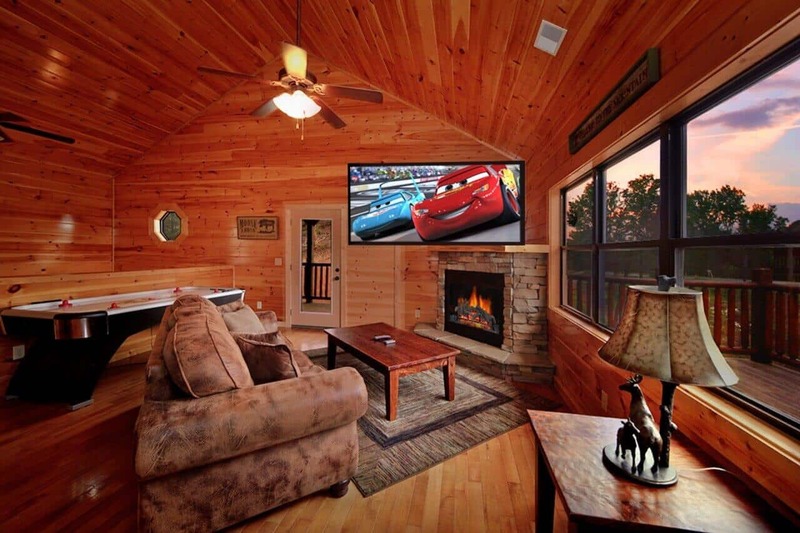 You definitely chose a great cabin to relax and create lasting memories together. We hope that you will make plans to visit again very soon. Please keep in mind, as repeat customers you will enjoy 10% off all future bookings! The experience was memorable and wonderful. The cabin was in excellent condition and clean. I truly enjoyed myself and family. I will definitely be back next year. Thank you for your wonderful 5 star review, Lynnette. We are pleased that you enjoyed your cabin stay! 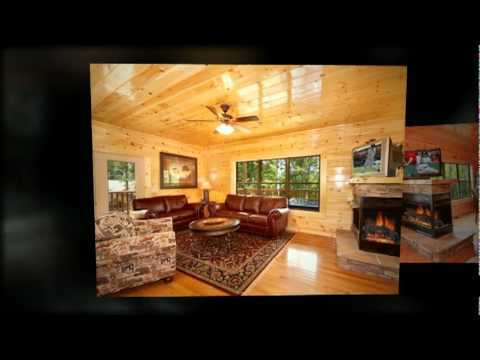 It sounds like you chose the perfect cabin for you and your family to relax. We look forward to your next visit. Keep in mind, as repeat customers you will enjoy 10% off your next booking. Hurry back, new memories are waiting to be made! This place was simply amazing, and I can't wait to get back! Thank you for your great review, Colleen! We are pleased that you enjoyed your cabin stay. We hope that you will visit us again soon! Mucho Gracias Sergio! 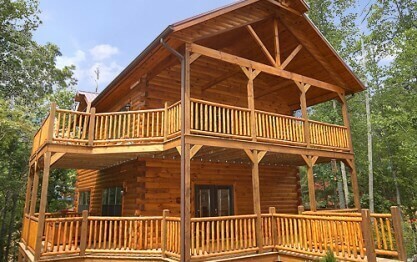 It is our pleasure to provide you and your family with a 5 star cabin getaway experience. We hope you will return for a future stay very soon. The home was very nice and tastefully decorated, in a quiet area. Arts and crafts were just a short drive from the home and everything else you needed was nearby. Visiting the national park was beauti…ful and there is lots to do in the surrounding areas. Thank you for allowing us to be a part of your vacation and for taking the time to fill out a review. We are delighted to hear you enjoyed the cabin and were able to explore the surrounding area. We hope you will consider staying with us again during your next visit to Gatlinburg. Don't forget to take advantage of your 10% repeat guest discount at the time of your next booking! We really enjoyed our stay in Southern Comfort. 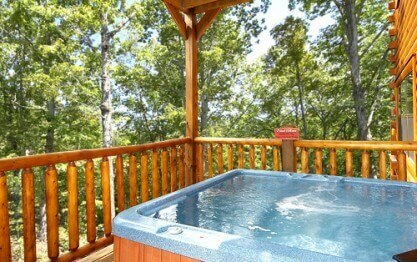 Very centrally located for both Pigeon Forge and Gatlinburg. Usually only had to travel about 4-5 miles to get to our destinations. Very scenic and quiet location. Cabin amenities were all spot on. So happy that you enjoyed your stay! Thank you for taking the time to review Elk Springs Resort and we hope that you will come stay with us again. "It was excellent stay we had ever.. "
I am a frequent visitor.. first time I see good smile in my family face. Kids were very happy and enjoyed a lot.. I will recommend..
We are excited to hear you and your family had such a wonderful time! We enjoyed having you as our guest and hope you will continue to choose Elk Springs Resort when visiting our beautiful Great Smoky Mountains. Exactly as presented on their website. Great accommodations and have everything we wanted. Thank you for your wonderful review, Eric! We enjoyed having you as our guest and hope you will come back and visit us again soon! The cabin was beautiful, spacious, and very clean. The resort itself was well-maintained and conveniently located. We loved our stay! Thank you for your 5-Star review, Stacey! We are excited to hear you loved your stay. We hope you will consider staying with us again during your next visit to Gatlinburg. Hurry back! Southern comfort is the best way to describe my weekend stay at elk springs. Our cabin looked I identical to the photos, simply beautiful. Their staff was friendly from booking to check out. I would …definitely use and recommend elk springs resort in the future. We are excited to hear your stay was exceptional, Charity! 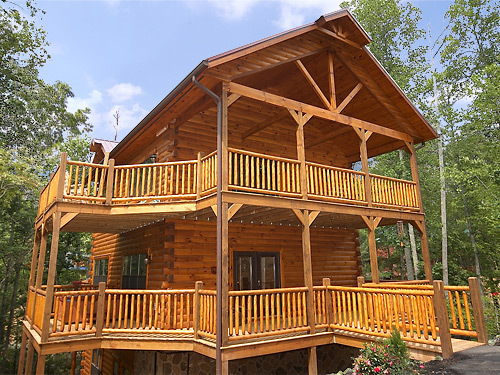 We hope you will make plans to stay with us during your next visit to Gatlinburg. Come back and see us soon! We are happy to hear that you had an exceptional stay, Gloria! We will be honored to assist you in starting a new yearly tradition. Please keep in mind, as a returning guest you will enjoy 10% off all future stays. We hope to see you soon! We had a great time in this cabin. We had three couples and on single and we had plenty of room for all of us. Even though the weather was chilly and rainy for the whole weekend, we had plenty to do i…n the cabin (hot tub, billiards, air hockey, movies) that kept everyone happy. We were very pleased with the accommodations and would happily come back again. Thank you for your review David. We are so pleased to hear that everyone enjoyed the cabin and you had a great time with family. We look forward to your return visit. 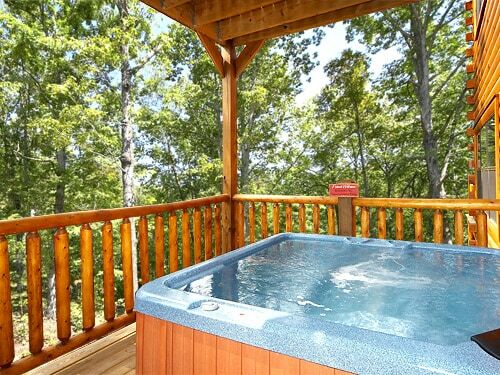 Cindy, we really appreciate your review and letting us know that our staff and the Southern Comfort cabin was amazing. We would love to have you back as our guest again. 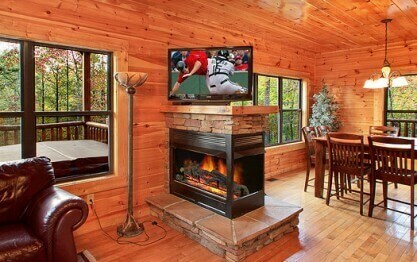 We had a fabulous time in Gatlinburg/Pigeon Forge, and EVERYONE loved the lodge. It had everything we needed, and was conveniently located. The management company was very friendly and responsive. Thanks! Thank you for your wonderful 5-Star review, Ceopatra! We are delighted that you enjoyed your visit in Southern Comfort. We take pride in providing luxury accommodations that are sure to become your home away from home while visiting our area. Please keep in mind, as a returning guest you will enjoy 10% off all future bookings. We hope to see you again soon! Lots of space. Very well supplied with everything you could think if for cooking! Good location! Would definitely return to this house or another with the same company! Great value! From the moment we arrived the kids went crazy over the air hockey and pool table. It was a great facility and nice secluded location. We liked that it was in a wooded area, but was a bit of a drive t…o the attractions in Pigeon Forge. The aquarium was near and a definite must to see. I would definitely go back again. 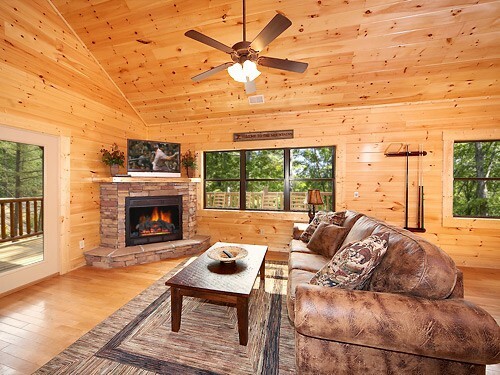 "It was a beautiful and very kid friendly cabin loved everything"
A great integration of comfort and nature, with room for a family and two other couples to have our privacy when we wanted it and share a great time in the large indoor and outdoor common living spaces. We had a great stay. Location was secluded enough you could only see the back of a cabin. 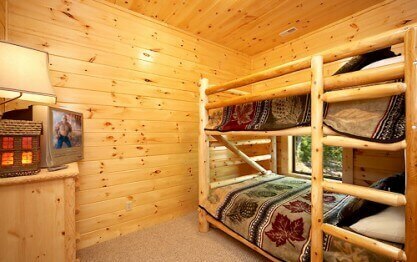 The cabin was well laid out. We used the hot tub and pool table a lot. The property was very clean. Thank you …Elk Springs for making this a great stay. Will return again. The Southern Comfort cabin experience was everything and more than what I expected. My family and I had a wonderful time and enjoyed our stay. Very well kept and everything worked properly! Great location and good value! 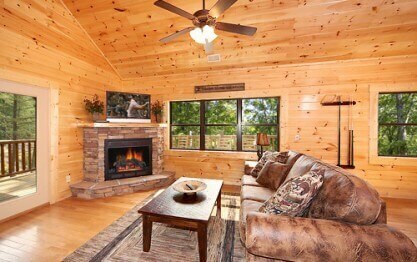 "Amazing Experience with family and friends, Southern comfort"
The Sourhern Comfort cabin was very nice. This is my 2nd time staying at Elk Springs resort and would definitely recommend it to my friends and family!! Our trip and stay was very pleasurable!! See you next year!! It was great. Everything was well done. The cabin was clean and everything we needed was provided. "Wish we were here right now!" I was impressed! Customer service was very helpful throughout the rental process. The cabin was everything we'd hope it would be - roomy and comfortable. Meals were a pleasure - the well-stocked ki…tchen and large dining area were ideal for our group. 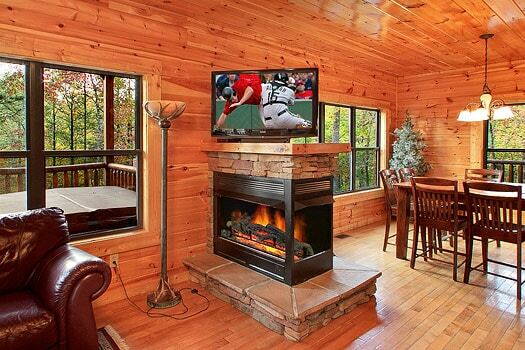 Three floors, 2 gas fireplaces, 2 decks, and 1 hot tub equals a perfect getaway. We'll be back! We had a great time in Southern Comfort. So much so we wish we could come stay over the Christmas holidays. We would love to stay at Southern Comfort again. The rental agency was very helpful and professional. Great group to work with. "From Wisconsin to the Smokies"
Our group of 12 escaped to the Great Smoky Mountains and absolutely loved our 4 night stay in the ?Southern Comfort? cabin. It was so beautifully decorated, spacious, and provided all of the essentia…l dish and bake ware needed. We were grateful for the nearby grocery store to quickly grab what we needed for our stay and midnight cravings! The kids enjoyed the pool and air hockey tables every night along with the hot-tub. 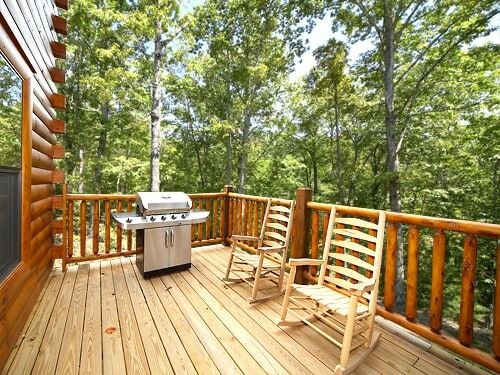 We loved the separate decks, location, porch swing, and rocking chairs. By far, our favorite attraction was Ripley's Aquarium and spent hours enjoying all the ocean wildlife that was there, holding horse-shoe crabs, touching the jellyfish, and the sting rays was amazing! We decided to upgrade our tickets to also include 2 other attractions and visited the Mirror Maze and did a little mini-golfing at Ripley?s Davy Crockett. Overall, the weather was gorgeous it only rained one evening but that didn't get in the way of taking in our surrounding sights, walks, and closeness to nature. It was very nice and clean. We had a great time. The cabins were beautiful, the staff is fantastic. I would definitely recommend this resort/cabin to others. The white river rafting and Dolly-wood are a few of the attractions we… visited. Can't wait until the pool/water park at the resort is completed. We had a great time. Used a groupon for our stay and wish we would have stayed longer. 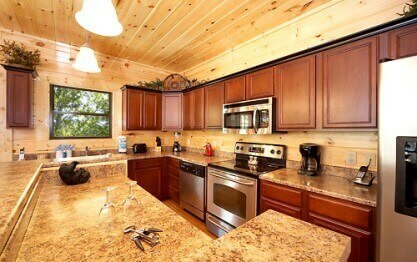 Over all the cabin was great and well stocked with kitchen items. We would have liked to have more seating upstairs in the media room to watch movies with the group of 10 women, we made it work though! This was a great vacation .....too short. Next time I will stay for 2 weeks ! "Loved our stay at Elk Springs"
Our whole family met at the cabin for Christmas! We all loved it! We can't wait to go back! "Southern Comfort made our weekend!" Last weekend my family and friends stayed with us at the Southern Comfort Cabin and I have to say we had a blast. The kids never stopped. They would play up stairs with the air hockey and the pool tab…le and then go back to the hot tub for a little while. We never heard the words I am bored once. So this place speaks volumns for itself. 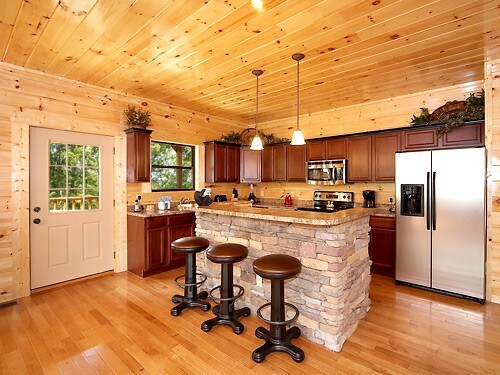 The cabin is beautiful with a fantastic floor plan. My daughter informed me she was going to buy this cabin when she got older. I said you mean a cabin like this one. She said no.... This one. So look out owners you may have a future buyer. Anyhow, the cabin worked out fantastic! Loved every minute,Did not want to Leave! Would love to go back Soon! No problems renting or the stay. Very happy!